What is nutrition? It’s the study of food, the nutrients found in food, and the body’s metabolism of these nutrients to maintain and promote health. Nutrition is an interdisciplinary science based on biochemistry and physiology, but can also be enriched with sociology, psychology, molecular biology, and genetics. The Dietetics Option is the first step to becoming a registered dietitian. The Didactic Program in Dietetics (DPD) curriculum is accredited by The Accreditation Council for Education in Nutrition and Dietetics (ACEND). It prepares you for a dietetic internship. The Nutrition and Wellness Option provides a foundation in chemistry, anatomy, physiology and microbiology and includes courses on stress, wellness and exercise science. Students gain real-world experience providing hands-on nutrition and health guidance. The Nutritional Sciences Option provides a comprehensive background in biology, chemistry, physiology, nutrition, biochemistry and physics, and includes courses on nutritional assessment, life cycle nutrition, nutrition and health and careers in nutrition. Most students declare an option within the nutrition major during the second semester of their sophomore year. Nutrition is the study of food and its relationship to human health. Students pursuing a bachelor’s degree in nutrition at UNH have three specialization options to choose from: dietetics, which is geared toward students interested in becoming registered dietitians; nutrition and wellness, which prepares students for work in fields ranging from fitness to community health; and nutritional sciences, which prepares students for further study in areas such as medicine or physical therapy, or for technically oriented jobs in science. Why study nutrition at UNH? The nutrition program at UNH opens pathways to a wide range of careers while providing students with a comprehensive understanding of the relationship between food, metabolism, nutrients and our health. Our degree options provide opportunities for hands-on learning through a variety of internships and research. The UNH-in-Italy program allows students to experience the medieval city of Ascoli Piceno while studying English-language courses that explore the links between food culture, sustainable agriculture and the policies and issues impacting the food system. Nutrition is the study of food, the nutrients found in food, and the body’s metabolism of these nutrients to maintain and promote health. Nutrition is an interdisciplinary science based on biochemistry and physiology, but also integrates sociology, psychology, molecular biology, and genetics. Dietetics option - is the first step to becoming a registered dietitian. The Didactic Program in Dietetics (DPD) curriculum is accredited by The Accreditation Council for Education in Nutrition and Dietetics (ACEND). It prepares you for a dietetic internship. Nutrition and Wellness option - provides a foundation in chemistry, anatomy, physiology and microbiology and includes courses on stress, wellness and exercise science. Students gain real-world experience providing hands-on nutrition and health guidance. Nutritional Sciences option - provides a comprehensive background in biology, chemistry, physiology, nutrition, biochemistry and physics, and includes courses on nutritional assessment, life cycle nutrition, nutrition and health and careers in nutrition. The program prepares students for success by offering real-world learning opportunities throughout the curriculum. These opportunities include applied research, field experiences, internships, community engagement and study abroad offerings. Our diverse group of faculty are dedicated to student success in and outside of the classroom. Coursework supports diverse postgraduate pathways including dietetic internships, allied health programs, medical and dental schools and graduate school. The rigorous curriculum is designed to offer a science-based foundation and foster critical-thinking and strong communication skills for future professional success of our students. Students take 16-18 credits per semester. All students complete foundational courses in the sciences, nutrition core courses, and additional option-specific requirements as noted in the program descriptions (i.e. Dietetics, Nutrition and Wellness, and Nutritional Sciences). Discovery Program requirements (including the Inquiry requirement in the first two years) and elective courses are taken as well. 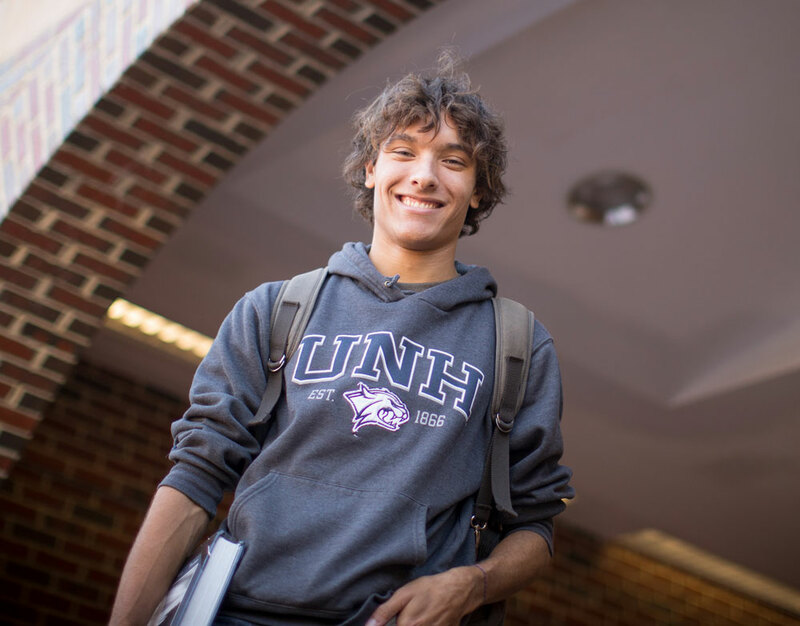 Students entering the University as first-year or transfer students may declare Nutrition as part of the UNH admission process. First-year and transfer students who are admitted directly into Nutrition will be assigned an academic faculty advisor who will work with you throughout your course of study. There are two deadlines for admission to the Nutrition major each academic year: October 1 and March 1. Decisions will be e-communicated no later than November 1 and April 1, respectively. Qualified students will be admitted to the Dietetics Option on a competitive and space available basis. All students interested in applying must view the Nutrition Major Information Session video, a recorded presentation that reviews the Internal Transfer Admission Policy and Application, the three Options within the program, careers opportunities, and how to apply for admission to the program. At the conclusion of the recording instructions are provided to verify participation. When were you admitted to UNH? Prior to application, all students must have 1) viewed/attended info session; and 2) earned > 14 UNH credits. Applications are due Oct. 1 for Fall semester and March 1 for Spring semester. 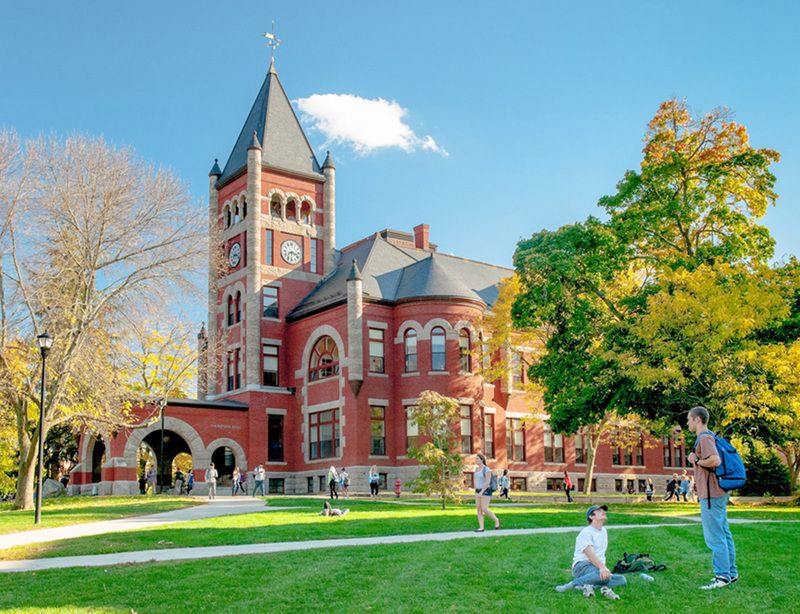 Students admitted to the Nutrition major at UNH are required to declare, and be formally admitted into, one of the following options: Dietetics, Nutritional Sciences, or Nutrition and Wellness. Option descriptions can be found at https://colsa.unh.edu/agriculture-nutrition-food-systems/program/bs/nutrition-major. Nutrition majors designate an option once they have successfully completed: 1) NUTR 400, 2) NUTR 401, & 3) BMS 507 or CHEM 403 (CHEM 411 for Wellness). CHANAS is a wonderful venue for those interested in undergraduate and graduate research projects. Each semester UNH students work as research assistants for the project and, in the process, gain valuable research and clinical skills.